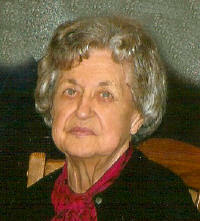 Adele L. Albers, 87 of Germantown, died Monday, April 12, 2010 at Countryside Manor in Aviston. She was born June 15, 1922 in Germantown to Vincent and Catherine (Winter) Albers: they preceded her in death. Also preceded in death by a brother, Harold Albers; brothers-in-law, August Lampe and Lawrence Becker. Surviving are brothers, Maurice (Rita) Albers, Vincent (Ethel) Albers all of Germantown: sisters, Gertrude Becker of Bartelso, Elizabeth (Clarence) Haake of Belleville, Dolores Lampe of Germantown, Marie (Virgil) Gebke of Germantown; and many nieces and nephews. Adele retired from Seal Test Dairy in St. Louis, MO. Member of St. Boniface Catholic Church and Altar Sodality, Daughters of Isabella Precious Blood Circle 718, St. Vincent DePaul Society. Funeral Mass of Christian burial will be Thursday April 15 at 11:00 am at St. Boniface Catholic Church in Germantown with Fr. Henry Fischer and Deacon Rich Bagby officiating. Interment St. Boniface Cemetery. Visitation will be held on Thursday, April 15 from 9:00 am to 11:00 am at St. Boniface Catholic Church in Germantown. Memorials can be made to St. Vincent DePaul Society and will be received at the church or through Moss Funeral Home in Germantown who is handling the arrangements. Daughters of Isabella will pray the Rosary at 9:30 am on Thursday at the Church.